The proposed market for our work is anyone who is interested in potential solutions to problems of inequality and justice, in particular students and younger individuals — for whom much of the competing literature may be less easily accessible. It is a book for general readers, which doesn’t require any particular prior knowledge. The main idea is an expansion of the social contract developed in political philosophy, serving as a basis for solving many of the problems we have seen in the world around us. Our work differs from competing titles in two important ways. Ideas about taxing the rich and demanding return responsibilities from those receiving benefits have existed for a long time, but our proposal of combining the two within the concept of political reconciliation is, to the best of our knowledge, new. With both of us being medical students, our relative lack of experience in the field of political philosophy and economics could be used to discredit our work. However, we don’t believe that this is justified. On the contrary: we have received numerous compliments for the ‘easy readability’ of our work. Within a field that is so often jam-packed with academic jargon of a level that places such essays out of the reach of the general public — especially the less well-educated young people whom we would like to politicise with our ideas. Too often do we see anti-elitarian ideas published in a format that’s accessible only to the educated elite. We thus see our book as a welcome alternative, presented as a narrative that is accessible to and digestible by all, explaining in simple terms certain problems within politics and economics of the 21st century. We set out explicitly to refrain from the simple ‘name-dropping’ of problems and have attempted, instead, to present feasible solutions for each issue. 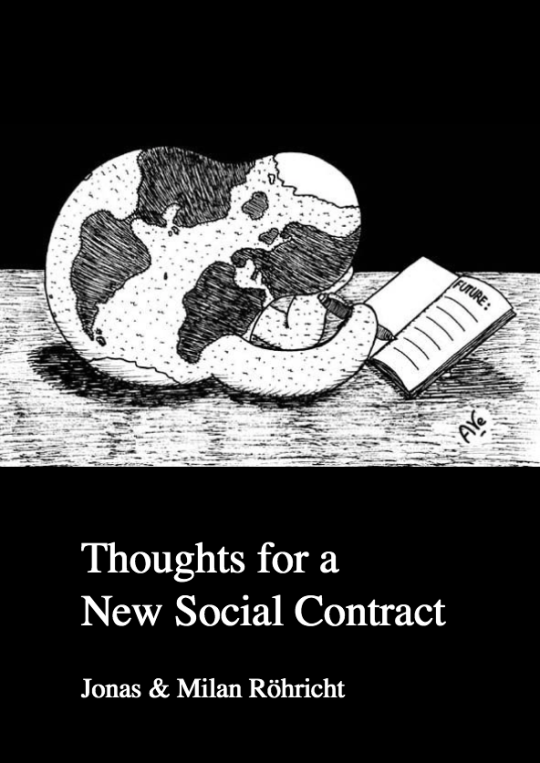 In this introduction we outline our proposal of a New Social Contract. We convey our belief of a current political stalemate, using the extended metaphor of a ‛civil war’ in our society between the upper and lower class. We also briefly introduce the themes covered in the following chapters. In addition, we present John Rawls’ difference principle — which, together with the need for reconciliation, we use as the underlying moral justification for the measures which we would like to see implemented. At the end of the introduction we discuss the consequences which could lie in store if we fail to dramatically improve the current state of inequality, using the extent of social divisions within South Africa and the riots across wealthy European countries over recent years as examples. Here we present various statistics conveying the current state of inequality, using the Gini-coefficient and other findings. We introduce and discuss Nicholas Saxon et al.’s paper for Tax Justice Network, ‘Inequality: You don’t know the half of it’. Ultimately, this chapter portrays the need for redistribution in the context of a New Social Contract. Chapter 3: What is a maximum socially acceptable annual income? Before discussing taxes, the economy and, to some extent, capitalism in chapters 4 and 5, this chapter serves as a pretext by addressing the notion of income. We propose an agreement on and consequent formulation of a ‘maximum socially acceptable annual income’, whereby sums exceeding this point would be taxed at far higher levels than we are currently seeing. In this chapter we also discuss some systemic research into emotional well-being, presenting a study carried out by Daniel Kahneman and Angus Deaton on the correlation of higher income and increased experienced well-being. We also briefly discuss the findings of our own short online survey regarding the idea of introducing such a maximum acceptable annual income. We begin with the former, presenting Immanuel Wallerstein’s ‘universalist trio’ of factors which are quoted in support of capitalism, and discussing the various shortcomings. We then move onto Acemoglu, Robinson and Verdier’s study ‘Can’t We All Be More like the Scandinavians? Asymmetric Growth and Institutions in an Interdependent World’, which concludes that ‘cuddly’ capitalism such as the form found in Scandinavia is enabled through the existence of a ‘cut-throat’ leader such as the United States. Again, we discuss the shortcomings and the counter-arguments to this theory. Chapter four subsequently addresses the Laffer curve theory, and gives two concrete examples of how new tax rates could be applied. We focus in detail on the different forms of changes in behaviour often seen when tax rates increase, supposedly explaining the Laffer curve: primarily tax avoidance and decreased incentives to work and reinvest. We present our ideas and solutions to these problems, quoting frequently from the American economist Joseph E. Stiglitz. Here we introduce James Henry’s report for Tax Justice Network, ‘The Price of Offshore Revisited’, which provides a statistic on how much money is ‘lost’ through tax avoidance. We propose measures which we would like to see introduced with regard to individual income tax and corporation tax: the eradication of all tax havens as a global effort (as well as explaining the process of transfer mispricing and highlighting the lethargy of current governments in finding measures to abolish the problem); suitable punishments for those enabling or engaging in tax evasion and avoidance; a national tax on income for all; the implementation of unitary taxation for all companies; and the introduction of a transparent and independently curated list which flags corporations engaging in tax avoidance, so that consumers may make informed decisions prior to purchase. We conclude this chapter by reiterating the responsibility which all of us carry as consumers — appealing to the conscience of our fellow citizens. In this chapter we turn to the ‘other side’ of reconciliation, focusing on the new roles and responsibilities of the lower-income spectrum under a New Social Contract. As we have seen, this topic often causes controversy and strong disagreement (even amongst ourselves). We thus begin by explaining with three main reasons for introducing the principle of ‘no benefit without return responsibility’, referring back to these throughout. We continue by briefly naming existing forms of benefits with return responsibilities attached. We then move on to our proposition as to how such a system could work, distinguishing between qualified and unqualified benefit receivers and comparing our ideas to the German ‘Zivildienst’ (Civil service); a compulsory, paid, community service as an alternative to military service. We are careful to stress that return responsibilities would be coupled with an increase in benefits to an acceptable minimum wage (which we go on to discuss in chapter 7), and that persons unable to contribute due to ill health, for example, are exempt from this responsibility. We also discuss continued concerns and traditional counter-arguments to such measures, commonly made by the political left. In doing so, we return again to the three main advantages of such measures, as highlighted at the beginning of the chapter. Having raised, in theory, a considerable surplus of funds through higher taxation and cracking down on tax avoidance, we discuss how this money should best be spent, recalling John Rawls’ difference principle and finding measures by the means of which it could best be fulfilled. Leading on from the discussion in Chapter six, we discuss how such changes become complicated when children are involved, and therefore how money could be spent to protect children from any harm. As the basis for this discussion we use varying ideas from two professionals in key roles in the community; a member of the UK charity ‘Action for Children’, based mostly in the London Borough of Hackney, as well as the headteacher of a school in Neukölln, Berlin; a deprived area of the German capital. Here we present our beliefs about how the education system could best be modified in order to help fulfil the difference principle. We cover early, primary, secondary and tertiary education, focusing on data presented in the OECD ‘Pisa’ study, and made available through the ‘Perry Preschool’ study. We introduce the concept of ‘positive discrimination’, which seeks to improve funding for schools in underprivileged areas, and reject a system of different high school ‘tracks’. In addition, we argue for the introduction of compulsory politics and ethics classes for all pupils in secondary education, ensuring a high standard of political education and encouraging a culture of debating. Thereafter we move onto higher education, providing a comparison of funding between countries, and thus present the need for far greater affordability. We also discuss the need for a greater number of alternatives to higher education. We focus on the three most widely used healthcare models that have any reasonable claim to merit, be it of an economic or philosophical nature: market-oriented, Bismarck and Beveridge. We use the United States, Germany and the United Kingdom as an example for each model respectively. We explain the various advantages and shortcomings, discarding of the market-oriented model due to its high cost and its failure in fulfilling the difference principle. We then discuss the advantages of the Beveridge model over the Bismarck model, quoting from Michael Sandel in his recent book ‘What Money Can’t Buy – The Moral Limits of Markets’. Here we discuss a fundamental flaw within capitalist meritocracy; that it rewards most highly those professions which seek only to accumulate more and more capital for its own sake. We explain our belief that it is thus vital to use a substantial part of the surplus of funds to reward more highly other jobs; especially those of high social value. We briefly discuss the necessity of introducing a minimum wage, aligned to a realistic cost of living. Split into three parts, this chapter (along with chapter 9) discusses how we can begin to break the sphere of influence between those in power and those with money. We state the need for a fundamental reform to the arena in which the game of politics is played. I. Is there an ideal voting system? 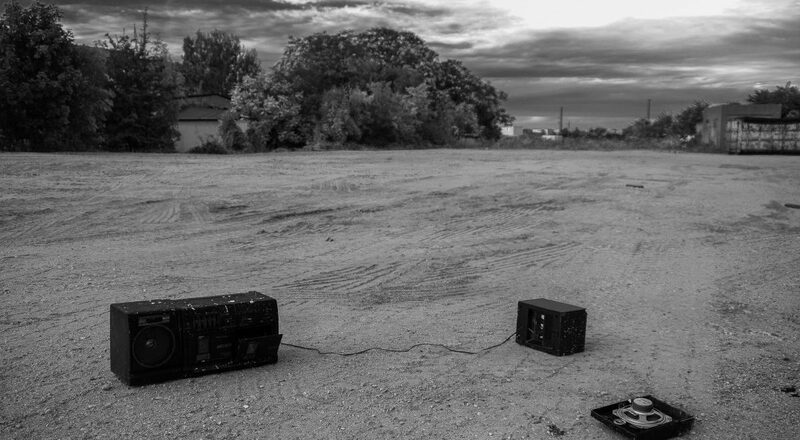 Beginning with a definition of the word ‘democracy’, we highlight ways in which many of our current democracies have failed, and continue to do so, in living up to the underlying principles from which this word stems. After discussing the problems of many of the electoral systems in use today, we offer a solution: the ‚Two-Round-System’, used in France’s presidential elections, for example. We thus outline this system before superimposing it onto the previously identified problems, which are then seen to be largely solved. We end by discussing the difference between a direct and an indirect democracy, using Switzerland to portray the advantages of the former. However, after discussing potential disadvantages, we conclude that we are not decided about whether the conversion into a direct democracy is currently feasible, or beneficial. As a solution, we present the possibility of implementing certain trademarks of such a system, thus a limited form of a direct democracy, with certain additional measures to be taken as ‘safety mechanism’. In this part we focus on encouraging a shift away from personality battles between politicians. We claim that voters are increasingly placing emphasis on superficial, electorally favourable qualities (oratory skills, good looks, a nice smile etc.) instead of the policies which a candidate represents. We return to Kahneman for support on this point, discussing what he calls the ‘Halo effect’. We then propose varying ideas for reform, such as a ban on ‘cheap’ advertising (i.e., without clear political content); capping how much may be spent; and the introduction of an unbiased, policy-focused booklet in which candidates may present the policies they stand for. In the final part of this chapter we move onto election promises, and the corrupting effect of voting for a candidate on the premise of a promise, only for this to be abandoned, or indeed reversed. We give varying examples of this phenomenon, and propose the need for a popularity deterrent in preventing promises being made which are not, or cannot, be kept. We begin with a definition of lobbyism and stress its significance as a vital democratic tool, before moving on to the problems that lobbyism has caused. We portray the mechanisms that are used to corrupt the course of politics by the means of an extensive account of the successful effort over the last decade to sew doubt amongst the public over the issue of climate change. We finish by presenting possible solutions to this problem, as suggested by the German politician Karl Lauterbach. Here we restate our demands and introduce two further issues in the fight for justice: the preservation of our planet for future generations, and the redistribution of wealth not just within the wealthy West, but all over the world.